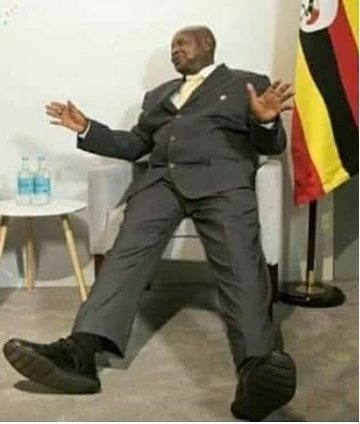 The latest statements made by the President of Uganda, Mr. Yweri Museveni at the Uganda Annual Judge’s Conference on January 28, 2019, has sparked the anger of Somali people. He stated that Somalia, like many other countries, has no state, and if there are states, has no organized authority that runs them. To my view, this is true. State is defined as “a compulsory political organization with a centralized government that maintains a monopoly on the legitimate use of force within a certain geographical territory”. The current Somali government’s power is not even extended to some parts of Mogadishu, the capital city of Somalia. Member state governments that form the federal government do not recognize the central government as a body that exercises the oversight role on their internal politics. Although the federalism is well defined in the constitution of Somalia, article 54, that the power will be divided between federal government and the federal member state governments with the exception of the matters relating to foreign affairs, national defense, citizenship and immigration, and monetary policy which will be part of the remit of the federal government. This is however, not the case, at the moment where the member state governments always welcome foreign representations, hold diplomatic talks with other foreign governments, print their own money and sign agreements of developments and contracts with foreign governments. This is due to the persistent weaknesses that characterized the successive interim and federal governments. The only attempt the current federal government took towards restoring order in a federal member state was in the South West State of Somalia was met with lots of criticism both at national and international level and eventually caused the ousting of the UN representative in Somalia on 01 January 2019. The federal government itself is criticized of not respecting the constitution and taking unpopular decisions without involving federal member states represented by the Upper House of the Federal Parliament. Tensions are reported every now and then between the government and the Parliament over the federalism and the progress towards its achievement. Meetings of the federal member states are not chaired by the President of the Federal Government. Somaliland which was part of the greater Somalia is not in the hands of the federal government of Somalia and the first acts as independent and self-declared government that only lacks recognition. There is no sign of resuming talks to come up with a mutual understanding between the two sides. This means that North Somalia is not part of the current states that formed the federalism. So why all these anger? I am confident that Yuweri Museveni will eventually apologize for his statement, but that would mean nothing for Somalia, as his statement is unfortunately a reality on the ground. Somalis has to do much more than keeping their honor of deceptive pride that cannot be touched. Member states should understand that cooperation with the federal government is first and foremost a mutual interest and not only the interest of the federal government. The current federal government should also strengthen good governance and fight corruption to win the confidence of its people represented in the federal member states. We should understand that we are vulnerable in every aspect of life, social and economics. Let us forget about lacking states, and concentrate on building our nation on its own, improve education, health and justice systems. These would not need states and power, rather would unite all Somalis towards achieving these three important sectors. The current endeavors of the federal government of building an army and police units is remarkable and appreciated as it will take over from the African Union on restoring the security in Somalia. Somaliland is a nation that is trying hard to achieve stability and development on its own pace, which will be a plus for the federal government should the North merges with the South once again on a mutual agreement. All the federal government need to do at the moment is win the confidence of the people by showing progressive actions on the education, health and justice systems rather than safeguarding a pride which has been lost for a long time.